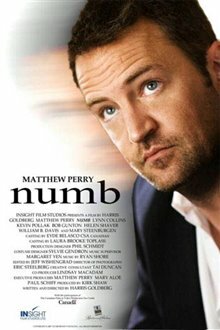 Screenwriter Hudson Milbank (Matthew Perry) suffers from acute depersonalization disorder. So alienated from his own life that he makes the chronically depressed look perky, Hudson lives alone, watches The Golf Channel all day, can't hang on to a relationship, shoplifts in order to get his adrenalin up off the floor, fears that thinking about his dad's death will bring it to pass, loathes his mother, and in general, is as nutty as a crapshack in a peanut farm. 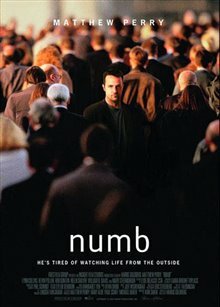 Obsessed with the underlying sadness that infuses his wretched existence, Hudson is a man in hell, but he thinks that his long catalog of dismally unsatisfying and mutually self-destructive relationships is over when Sara (Lynn Collins) stumbles into his life. He knows she can save him. She knows he has to save himself. Together they save each other.